Handcrafted and hand-painted porcelain dessert plate. 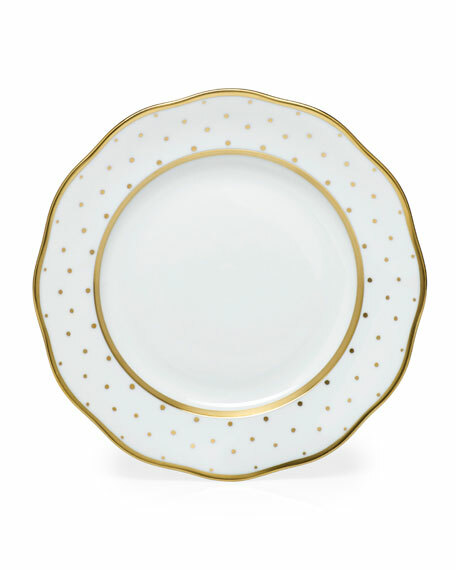 Daphne porcelain dessert plate. 24 kt. gold leaf design. 8.25" dia. Dishwasher safe. Made in France. Limoges porcelain side plate. Hand-painted platinum rim. 8.5"Dia. Not microwave safe. Dishwasher safe. Made in Portugal.